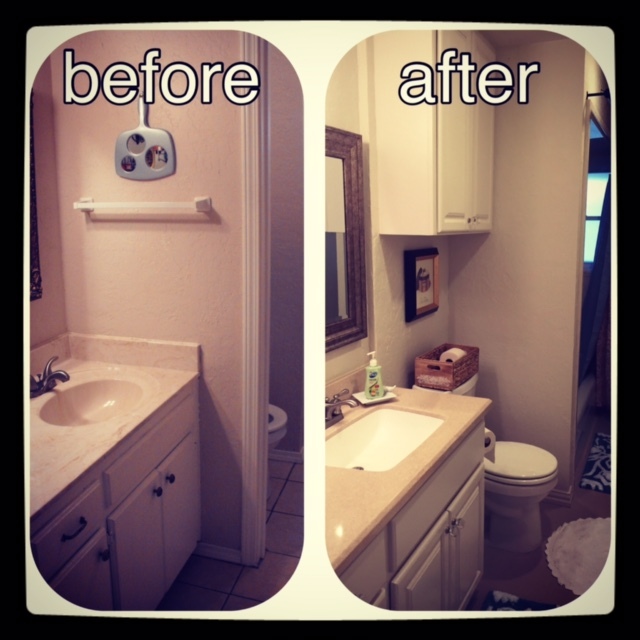 Three houses ago I had a pretty decent sized master bath with a separate shower and a garden tub. The toilet was in it’s own little room that you could shut the door to. It also had separate vanities for myself and my husband. Yes I said SEPARATE! 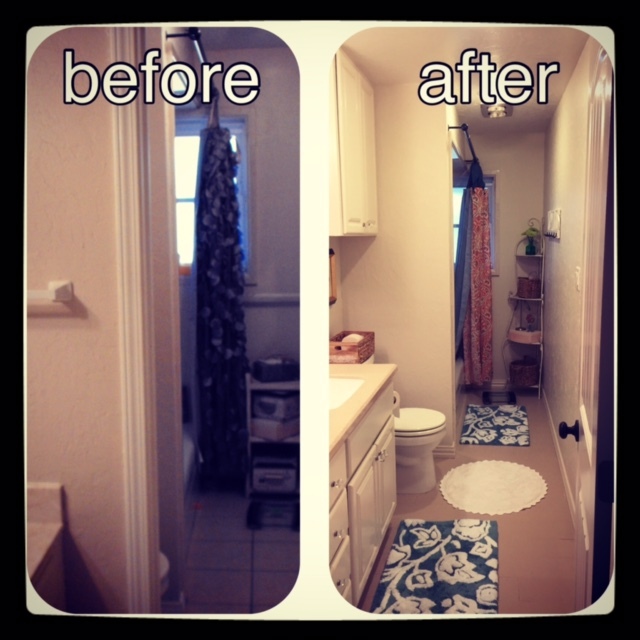 But then circumstances change and now three houses later I’ve got a pretty small master bath that only has a shower. This has become my husband’s bath since there’s only really room for one person. So my daughter and I share the hall bath. A few months ago we were finally able to do a small-ish remodel on the hall bath and I couldn’t be more pleased with how it turned out. It’s nothing fancy, ya’ll. But it’s way better than it used to be. This bathroom has one small window that has frosted glass so even on the sunniest of days not much natural light gets through. So much more open! It makes me happy and that, folks, is surely enough!